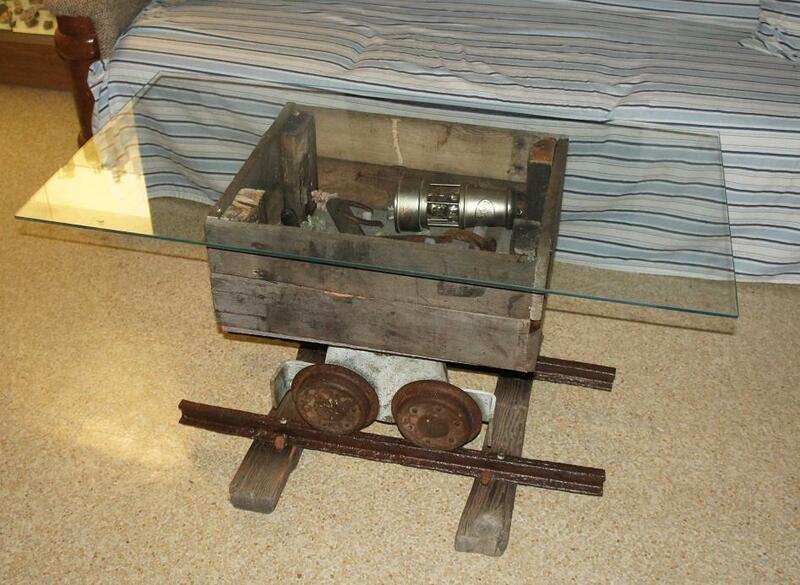 This is my new coffee table! 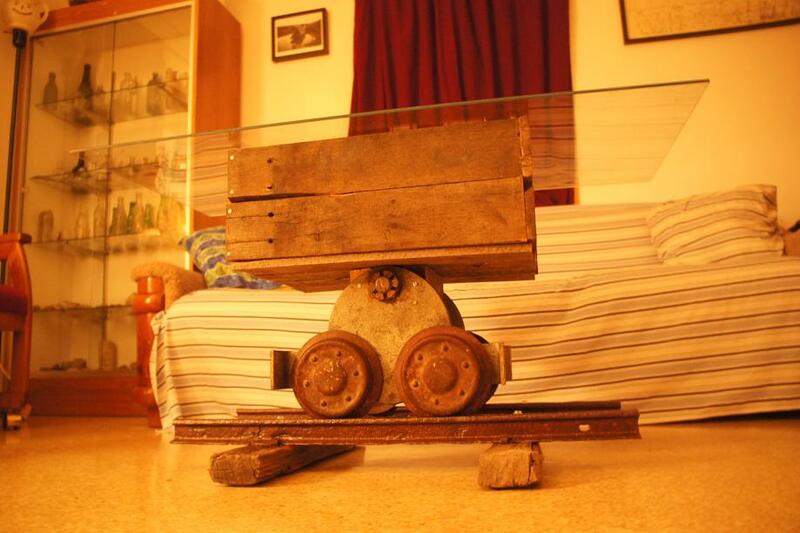 Made to look like an antique mine cart, and it actually works! I had to put bumpers on the tracks to keep it from rolling all the way off, but it’s fun to roll back and forth on the rails. All the materials are salvaged and scrap, so after time and labor, this was essentially “free”! The glass came with a desk from a garage sale and we didn’t want it on the desk, so even that was basically a freebie. I did pay $5 for some flexible rubber bumpers to help keep the glass from sliding around, but those were optional. I was tempted to run tracks into the kitchen so we could load up the table with food and then wheel it out to the living room… but the tracks would be a terrible trip hazard as well as difficult to clean around! 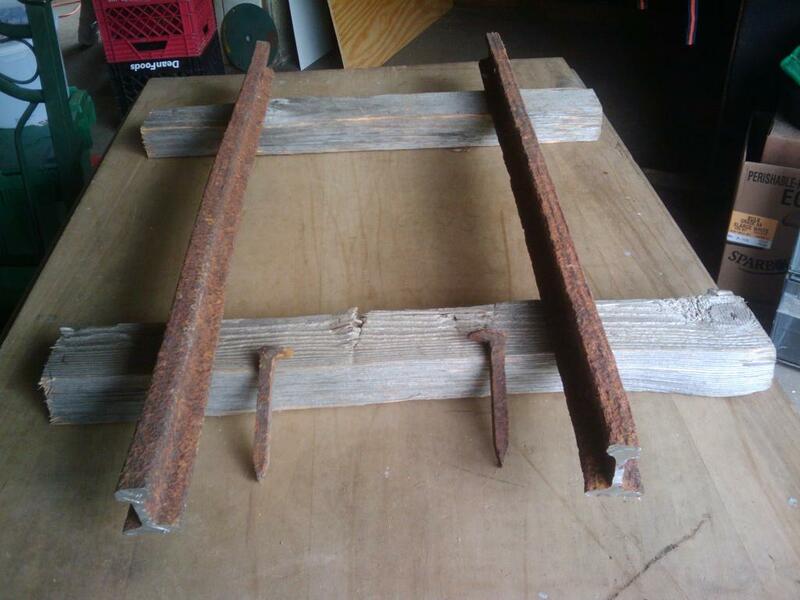 The salvaged mine-gauge rails and mine-size spikes, along with weathered lumber for the ties. I assembled the track section using the spikes for an authentic look. 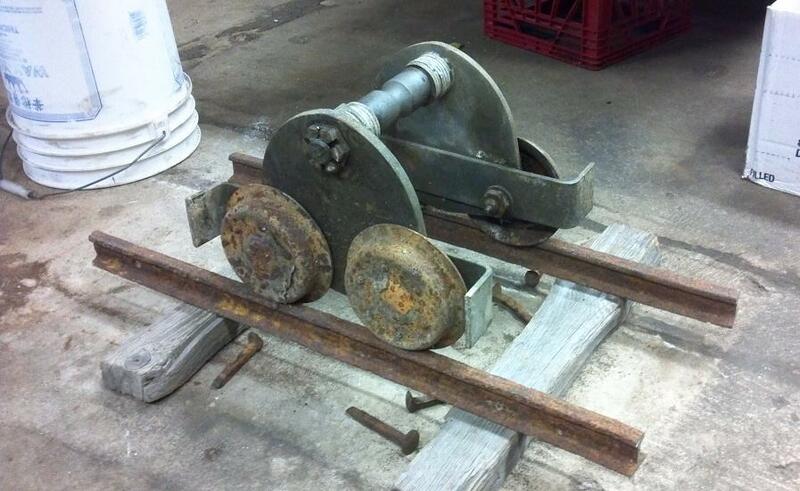 Early fit-testing the wheel truck and rails. The spikes originally looked pretty bad from sitting outside for 100 years (left). 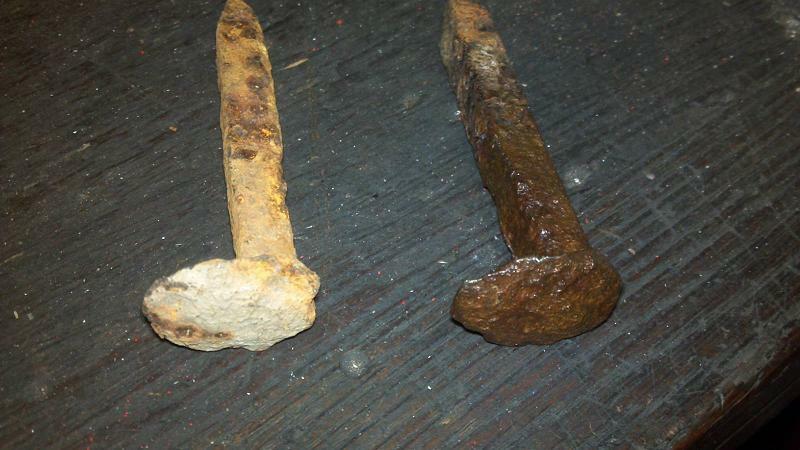 On the right is a spike after wire-brushing and cleaning to remove loose rust, then coating to prevent more rust from forming. 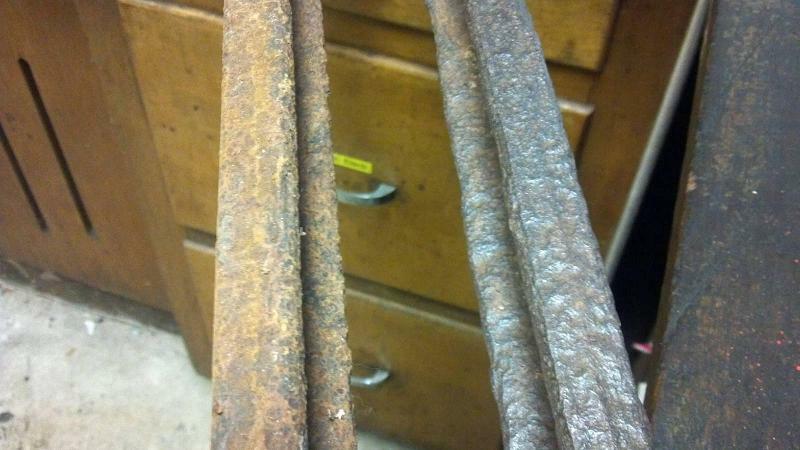 A close-up of the rails, before and after getting the same rust removal treatment. The finished rail is still pitted and rust-colored (which I think looks cool), but doesn’t have that annoying flaky rust falling off it. 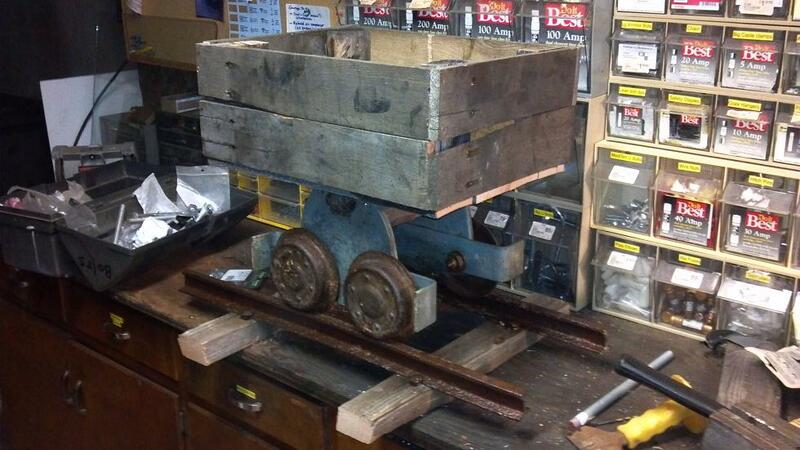 Early assembly of the mine cart box. 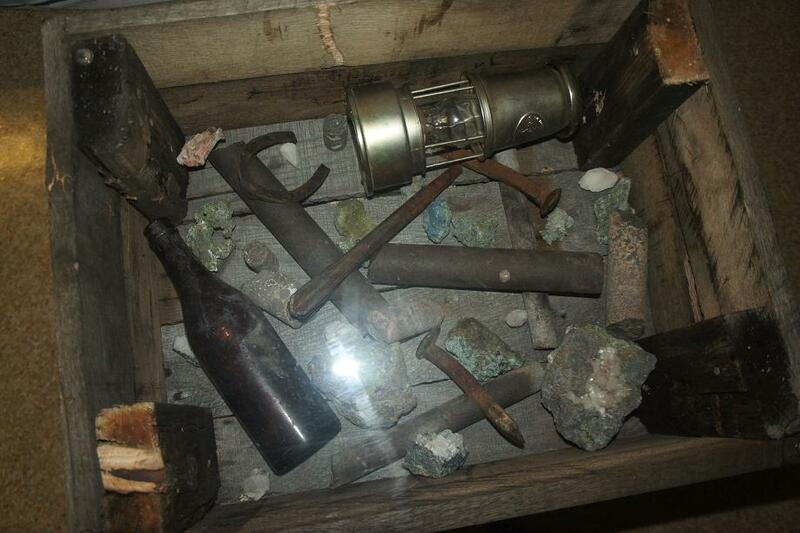 This entry was posted on Thursday, February 28th, 2013 at 11:57 am and is filed under Uncategorized. You can follow any responses to this entry through the RSS 2.0 feed. You can leave a response, or trackback from your own site. 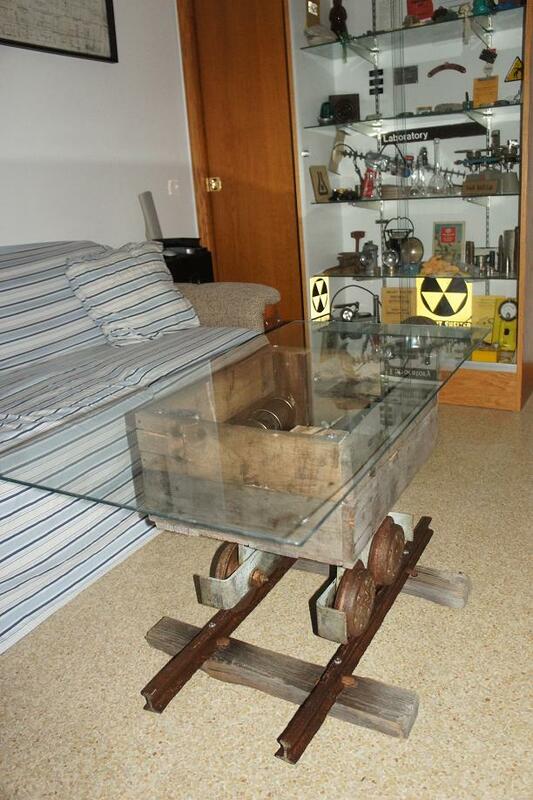 Cool coffee table, the only part that makes me nervous is that piece of glass, other than that I like it. Very cool! Mind if I share the pictures with some friends? I’ve got to start looking around for parts to build one now!